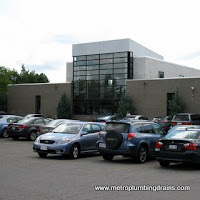 Metro Plumbing and Drains specializes in the commercial and residential properties industries. We have highly qualified and licensed team of plumbers with extensive skills, knowledge and experience to represent our company. Our company services the entire Thornhill Ontario, and Greater Toronto Area as well. Our experts in the plumber field are able to detect and resolve any situation that involves plumbing and draining systems. Plumbing system is designed of many pipes, drains and valves that are all connected to each other in one way or another. Therefore, what might seem as an insignificant at first problem might snowball into major issues later. Our plumbers at Metro Plumbing and Drains always remind all homeowners to pay closer attention to their plumbing systems, and to seek professional plumber’s help at the first suspicion of a problem. Even if it turns out to be a false alarm, as our plumbers say “better be safe than sorry...” Even a simple maintenance can prevent future disasters. For instance, insulating your pipes for those cold months of winter, especially in the northern parts of the GTA, such as Thornhill Area, will prevent pipe freezing. This is a very simple task that does not require much plumbing experience and knowledge and can be easily treated as a do it yourself project. Our company works hard to resolve any plumbing related problems easy. We always go an extra mile to be dependable and convenient for our customers anywhere in Thornhill Ontario and GTA. Metro Plumbing and Drains always welcomes new customers. Call us 24/7 for any plumbing related problem in Thornhill area.